FQ: The genre for The Fish Tank (short story) is a departure from your previous novels, which are more mystery/romantic suspense. Why did you choose to put together a collection of short stories? ALONSO-SIERRA: Many moons ago, I wrote several short stories for a narrative class at the university and for a critique group. But it wasn't until I sent The Fish Tank to the University of Cork's Carried in Waves Contest, and the story placed as finalist, that I believed I had honed my craft enough to tackle the genre. It was also a moment in life where things were rough, (I had lost my mother to dementia), and I couldn't get into the groove of my detective story. I came to the realization that I needed some time off, but, at the same time, I didn't want to stop writing altogether, So, because of that, I decided to write shorter stories. I stopped writing the novel for a while, took the stories I had already created, added to the pile with others, and the collection was created. FQ: You mention in your author's note at the beginning of the book the difficulty in writing short stories. Would you share with our readers (some of whom may be thinking of trying their hand at short stories) some of the unique challenges with writing in this genre? ALONSO-SIERRA: Wow. That is a tough question. Short stories need to be compact episodes of a moment in a life. That is the best way to describe what you need to do to write one, at least, for me. One has to gauge how to create the main character with enough information so the reader can visualize (without back-storying the reader to death) the character's personality and conflict at the same time. The point of view, I think, is also critical to set the mood and the impact you want to convey. What would make the story more powerful? For example, in my story, The Fish Tank, I had to make a decision if I was going to let the adults tell the story or the child. I chose the child because it would be more horrific to learn the situation as the child listened, as the child saw, and how the child reacted to the events happening, especially how she behaved that was not normal for a child her age. As a writer, you also have to decide how long it will be -- does the story need more development to tell its story entirely, or does it need to be extended. In Jerry's Gift, I didn't need to go into full backstory, or start it earlier in Maureen's life. The story revolved around the gift, and how she was going to profit from it. So the story begins a few moments before the gift is revealed. There are so many things I can go into for the writing of the short story, but the most important one is reading them. I strongly recommend potential writers of short stories to read Poe, O. Henri, Maupassant, Jackson, Twain (for humor), Chekov, Flannery O'Connor, Stoker, and others. The list is long. I've read them all, and then some. Analyze them. See why the stories are so good. Where in the conflict they start. How they end. The reasons they impacted you. How much dialogue vs. narrative. And most important, as a writer, what works with your voice and style. Don't try to imitate. Learn and blend the craft into your own storytelling. FQ: Rites of Passage was a very sweet story about a mother who didn't want to disappoint her young son so she bravely agreed to ride the roller coaster. The build-up of fear and excitement she felt was so real. How did you lock on to those feelings so realistically? Was it something you had experienced? ALONSO-SIERRA: Actually, I love roller coasters. But, what my character experiences, happens to me in some elevators. So I took the feelings I go through getting into them and applied it to her. I analyzed how I needed to psych myself to go forward, how I felt as the door closes, the sensations as the elevator starts moving. Then I blended that with my experiences on roller coaster ride. And, voilá. FQ: Again in your author's note, you describe the "soul-tearing" you experienced when writing the four stories in the "Cuban Diaspora" section. Did it help you come to terms with your own experiences as you put words to paper? ALONSO-SIERRA: Yes and no. This is not unique to writers who write exile narratives or novels. The scab will always be there. The melancholy of what was lost is still there. The hurt will not ever quite go away. But now that the story is told, it was a bit cathartic. The roiling emotions the writing brought (many times I had to step away from the story and do something else. Many times I walked away to cry at the innocence lost, at the life lost) are less traumatic. The memories don't hurt as deeply. FQ: You say that each Cuban story contained at least a little of what you personally experienced. Were you Matilde of The Fish Tank? Was there really a beautiful doll that came along on the trip and (without giving the ending away) was Matilde's dress truly so unique? FQ: The Cuban stories left me with many different emotions - sadness, satisfaction, a little idea of what Cubans' suffered, and even a bit of happiness. The bubbles in a story filled with a family's despair at having to hide everything, even their laundry detergent, while upsetting, had a bit of humor in it. Was that intentional? Perhaps to lift the mood? Or was it simply what happened? ALONSO-SIERRA: Actually, it is based on what happened to us. But the humor of the situation is the twenty-twenty hindsight, where you can find humor in the moments of terror or horror. The situation becomes absurd, to a point. And I did that, not to alleviate the situation, but to emphasize it. It also helps the reader take a few breaths of relief. FQ: Several of your short stories succinctly tie everything together in the last line of that story, such as that used in Lullaby. Do you know how these stories will end, what you'll say at the end, before you start to write or does it come to you as you write? ALONSO-SIERRA: No. I don't know what the last line of the story will say. I know, more or less, how the story will end, but not what I will say to wrap it up. It comes as I write. FQ: Detective Nick Larson - I love his character. Will we be seeing more of him? Perhaps a novel? ALONSO-SIERRA: Yes, indeed. I am writing the novel as we speak. It should be published sometime in 2018. Yay! FQ: You have held a lot of professional occupations - dancer, singer, teacher, to name a few. Do all these previous jobs/experiences help you as a writer? ALONSO-SIERRA: Definitely. Every occupation has its obsession, its frustration, its emotions - both positive and negative. I add a lot of what I have learned about human nature and myself to my characters. FQ: You mention that you're a lover of "all things medieval." Any plans to write a novel set in medieval times? ALONSO-SIERRA: I have ideas, but that would involve a lot of research, so I'm placing it in the back burner for now. Once all the other stories in my head are written, I'll tackle that one. It should be a lot of fun! To learn more about The Fish Tank: And Other Short Stories please read the review. Life in Cuba during the early days of the Castro regime, a crazy roller coaster ride, and a murder mystery are just a few of the short story topics that will grab your attention in The Fish Tank. This wonderful collection of short stories begins with "Jerry's Gift," a fun tale of a recently divorced woman who gets a final, unexpected gift from her louse of an ex-husband. At just two and a half-pages in length, it's hard to imagine getting sucked into the story, but that's exactly what happened to this reviewer. Maureen is in her great-grandfather's home, now her home, which she plans to renovate, thanks to Jerry's gift. The author expertly sets the mood, complete with a porch and a glass of lemonade that will keep you wondering about that gift. When the truth is revealed, every divorced woman will likely expel a gleeful laugh. Sweet justice is fun. From a gift to a crazy roller coaster ride that will get your heart pounding, the author next moves to her most personal section, several stories based in/about Cuba, her birthplace, but no longer her "home." The title story, "The Fish Tank," centers on a little girl, Matilde, and her mother, as they wait at the airport in Cuba. Matilde and her mother, along with several other Cubans, have been granted passage out of Cuba. But first, they must wait in a glassed-in room, where other travelers can look and gawk at them. Don't fidget, Matilde tells herself, just as her mother warned. The last thing they want to do is draw attention to themselves. Matilde clings to her doll and listens silently to the whispers of the adults. Don't twitch, don't fidget, and don't touch her skirt, she tells herself again. The tension is thick in the room as the passengers wait to see if they will indeed be granted a spot on the plane. Many people mistakenly think that it's easy to write a great short story. It is, in fact, quite difficult to, in just a few pages, draw the reader in, make them care about the characters/story/plot and leave them satisfied at the end. Within the first few paragraphs of the first story, I knew that the author had mastered the genre and that The Fish Tank was going to be a very good read. The author set the stage quickly in each story, wasting no words, but through her perfect descriptive language, drawing an image, or a plot, that jumped off the pages. In "The Fish Tank," as the hopeful passengers wait, tension slowly rises and it's easy to get a sense of what the characters must have felt. Even in a story as light-hearted as "Rites of Passage" where a mother is taking her son on a roller coaster ride, a ride she definitely does not want to go on, the slow build-up of nerves as they wait in line, the quickening of the mother's heartbeat, her sweaty palms, everything in fact, builds it up perfectly and I had images of the last time I'd braved such a ride. Each and every story in this book was one I thoroughly enjoyed and the characters have lingered in my mind long after I closed the book. 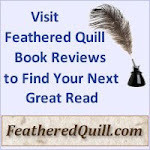 Quill says: The Fish Tank is at times fun, exhilarating, haunting and intriguing. The author has done an excellent job of capturing the essence of the short story genre in this fantastic collection. It is always intriguing to discover stories, legends, and myths from long ago that are still remembered today. In her book Legends of the Grail, author Ayn Cates Sullivan takes the reader on a journey of discovery, uncovering the fascinating details of some of Ireland's most famous Goddesses. Throughout history, some of these legendary figures were seen in a negative light, making them appear cruel and unjust. However, the author has retold their stories in this book and the reader is given a different insight into the misunderstood myths surrounding these famous goddesses. Each chapter starts with an introduction to a particular goddess and then a story or legend that is associated with her. In an interesting twist, the author has chosen to tell each story from the point of view of the goddess, which is rare and allows the reader to really explore these legends in a new way. Many times these stories are told from the point of view of the human who saw a glimpse of light in the distance, or a shift in the shadows at night and claimed it was a goddess approaching. However, in this book the reader is able to open up a whole new world as these stories are told in a way that explains their supernatural occurrences while at the same time being easily relatable. In addition, each chapter contains information about what represents each goddess including colors, plants, and animals. This adds to the idea that each of these goddesses can be seen, felt, or heard anytime we happen to be walking through the woods or strolling by a bubbling stream. Some of the goddesses that were misunderstood include a solar goddess by the name of Aine, who in myths was shown to be a bad and disrespectful wife of King Ailill. However, when author Ayn Cates Sullivan shines some light on this particular myth she reveals that in fact Aine just held her freedom and independence above all else, which are admirable qualities. She uses this freedom and independence to be available when someone calls her that needs a light in their lives. After all she was a solar goddess and wanted to make sure she was there to help anyone who was in need of her help. Then there was the goddess Cailleach who would many times disguise herself as an old woman, or a terrible giantess who would throw boulders out of her apron pockets. In reality, she was adamant about protecting the land, animals, and plants, for she had a deep love of nature, and would only punish those who disrespected it. The way this book is written was unique and I found it quite wonderful to read. With each goddess having a specific chapter dedicated to her story, I was able to focus on each one individually, allowing me to learn more. I loved the way this author included the colors, plants, and animals that are representative of each goddess, for that brings the myth and the real world together beautifully. It is always amazing for me to read a book that stays with me long after I have finished reading it. That is exactly what happened with Legends of the Grail as I think back to it often while I am simply going about my everyday life. Quill says: This is a book that stays with the reader, giving positive thoughts long after the last page is read. FQ: - Lost! is based on a true story. Would you tell our readers a bit about Wadadli, the hooded seal who inspired your tale? FQ: You've written many books, both fiction and non-fiction, on a wide variety of topics. What was it about Wadadli's story that drew you to him and made you want to turn his "mis-adventures" into a children's book? HILLHOUSE: Well, certain things imprint and I suppose, without me realizing it, Wadadli did. It is quite the remarkable journey that he took and I suppose the unusualness of it, not to mention the way he inspired people to do all they could to help him get home, was part of what made it stick. So that when I challenged myself to write a children’s story, he was right there within reach. Though the details are different, the real life story and the fictional one have in common an unexpected adventure, being a fish outta water (i.e. at sea in a new and unfamiliar place), and finding that people (which, in this case, includes other sea creatures) can be friendly and helpful and kind. FQ: Dolphin is an adorable seal with an unusual name. How did you come up with that name for your protagonist? HILLHOUSE: Could just be my own fascination with dolphins; blame the Flipper re-runs that were so popular on local TV when I was a kid. One of my favourite days in recent-ish memory was spent on a circumnavigation tour around Antigua, on board Adventure Antigua, on which I got to see dolphins swimming in open sea and a whale breaching. Dolphins are beautiful and it’s ironic that the main character’s passing resemblance to bottlenose dolphins, via his funny looking nose, is the thing that gave him his name and fuels his imagination, but is also something for which he is teased. There’s a message about accepting your uniqueness, your quirkiness embedded in that. But also I just liked the juxtaposition of him being one thing and being called something else, and no one really being confused by that by the end. FQ: You live in Antigua - what a beautiful island! Do you get your writing ideas while walking the beaches? HILLHOUSE: We do have 365 beaches, one for each day of the year, so that’s a lot of walking, a lot of inspiration. But we also have a saying that the beach is just the beginning and there is much, on and off the beaches, that inspire me; just life...and, yes, lots of walking. FQ: An important part of your book is to show the work that environmentalists are doing to save Arctic seals. Would you tell us a bit about what they do/how they do it? Have you ever participated in a rescue or is that not allowed? HILLHOUSE: The only rescue I have ever specifically participated in is the baby birds that fell from a tree in my yard – I remember calling the Environmental Awareness Group (www.eagantigua.org) for advice on what to do, because I’d witnessed as a child how handling a bird even with good intentions can end badly. We don’t often have opportunity for big rescues like the one that inspired this tale, which is part of what makes it so fascinating. So I can’t speak broadly to the work being done in this area. But on an island, especially in this era where climate change is already wreaking havoc (our own sister island Barbuda felt the blows of a devastating hurricane season in 2017), environmental protection and biodiversity are keenly important. I have worked in environmental education and as a freelance writer have had the opportunity to work on projects for the EAG and the Ministry of Environment in terms of both documentation and advocacy; as a reporter, though I walked any number of news beats as one does in a small market, I once received a local award as Environmental Journalist of the Year for my reporting on a project to preserve the Hawksbill turtle (a project that has been instrumental in the survival of this species by preserving its nesting ground at Pasture Bay, the beach referenced in the story, as well as tagging and monitoring). I once spent a rain-soaked night over on that beach as part of the turtle watching project and have been fortunate to see the little ones break free and sprint toward the sea, all too aware that many will not make it, but hopeful. So, more than anything, capturing the stories (from traveling to Great Bird Island to write about the Antiguan Racer snake which the EAG brought literally from the brink of extinction to visiting the frigate bird sanctuary in Barbuda, from which many of the birds, much like the people of Barbuda, fled Barbuda, hopefully to return, during this harrowing hurricane season). And I’m fortunate that, though this is a work of speculative fiction, I have the opportunity to tell another story from our natural world with Lost! A Caribbean Sea Adventure. FQ: As I mentioned in my review, I love the illustrations for your book - they're so bright and lively. Would you tell our readers a little about the process of working with your illustrator? Did you go over details of each illustration before she set to work, or did you discuss the overall feeling of the book and let her get creative? What was the process? FQ: Your book is published by CaribbeanReads - a publisher specializing in books, for all ages, centered around the Caribbean. What a great concept! Would you tell us a bit about them and how/why they got started? What has been the reception, both from people living in the Caribbean as well as those who live quite far away, when they discover a place devoted to books about the Caribbean? HILLHOUSE: Caribbean Reads can best speak to their genesis but I knew Carol Mitchell, the lady who founded Caribbean Reads, as a writer first of the Caribbean Adventure series. I want to believe that the challenges experienced by voices from the edges trying to insert themselves in to the main narrative, notwithstanding the conversations about the need for more diversity in the world of publishing, was part of her motivation when she moved from self-published to independent press. There is so much talent in the Caribbean and a very narrow path to being published via the traditional route. I have been fortunate, to some degree, in that regard, having had my books (https://jhodadli.wordpress.com) published with several international publishers, even so still a writer from a small place, even so still a writer jumping and waving her arms to be seen. So, it’s been a joy to have two – Musical Youth, a finalist for the Burt Award for teen/young adult Caribbean fiction, and Lost! A Caribbean Sea Adventure – published by Caribbean Reads, an independent press that centres and hustles hard for Caribbean literature. I think for writers and readers of the Caribbean this and other emerging small presses are welcomed because it means a diversity of stories flowing out of the region, contributing to the diversification of the publishing marketplace, and, within the region, where so much of what is read comes from outside, more and more stories reflective of self. FQ: Please tell our readers a little about the Wadadli Youth Pen Prize that you run. HILLHOUSE: The Wadadli Youth Pen Prize (http:"//wadadlipen.wordpress.com) is a project that I started in 2004 to nurture and showcase the literary arts in Antigua and Barbuda. Its main project is an annual writing challenge targeted at young people; through that we help bring fresh voices and fresh stories in to the world and help young people generally realize the power of their own voice. The project has done other things such as workshops and recordings, and notably created an online platform which also acts as a gateway to Antiguan and Barbudan literature, where all, or as many as I can find, of our published works and the emerging arts scene is documented. And it’s all voluntary; just my attempt with help from various partners and patrons over the years to create an enabling environment for creativity – something that was lacking during my coming of age. FQ: You wrote a poem, "Children Melee," that stems from your love of Carnival and Calypso. Any chance you'll be writing a book about Carnival? HILLHOUSE: LOL. Would you believe someone asked me about this just recently – identifying that as a gap in the children’s picture book market. Food for thought. FQ: You write poetry as well as fiction/non-fiction books. Do you find one style more satisfying for you to work with, or do they all offer something important, and perhaps different? HILLHOUSE: I am most passionate about fiction, reading it, writing it. But I enjoy experimenting so I’ve tried my hand at many genres and sub-genres: screen and play writing to fiction and poetry and, of course, non-fiction, with journalism and feature writing being a part of that; and from bildungsroman to romance to adult dramas to noir to jumbie (ghost) stories and so on, including as demonstrated by With Grace, my Caribbean fairytale published by Little Bell Caribbean, and Lost! A Caribbean Sea Adventure, children’s picture books. To learn more about Lost! A Caribbean Sea Adventure please read the review. Dolphin the Arctic seal is a playful, adorable seal who easily gets distracted and "day-dreamy." Thanks to his wandering mind, he's about to go on a very big adventure, and young readers will love following along to see what happens. Dolphin has an odd name, considering he's a seal, not a dolphin. His friends call him Dolphin because of "...his funny looking nose," but his Nema tells him it's really quite beautiful, just like a bottlenose dolphin. Nema always knows what to say to make Dolphin feel special. She has also traveled further than any other seal and enjoys telling Dolphin tales of all the wonderful sea animals she has met. The Arctic seal loves to imagine those amazing animals as they swim and dance in the water. The cute little Arctic seal also loves to play with his friends, and they frequently go swimming and exploring through the ocean. Unfortunately, Dolphin isn't very fast so he is constantly getting left behind. Combine that with his tendency to daydream, and Dolphin is in for some trouble. One day, while Dolphin is lost in a daydream, a big, black ship, spitting out dark smoke, comes hurtling through the ocean, right up alongside Dolphin. By the time the little seal notices the ship, it's too late - it bumps him on his nose and he's knocked out. When Dolphin wakes up, he quickly realizes that he is far, far from home. How will he get back to Nema? Right after Dolphin wakes up, he meets a new friend - Coral the jellyfish. They talk a little and then Dolphin realizes there's another problem with his situation - the water here is much too warm for an Arctic seal! Coral wants to help Dolphin, and he suggests that they go meet with Coral's Nana (who, Dolphin discovers, is a lot like his Nema). Dolphin explains his dilemma to Nana and hopes that the wise jellyfish will know what to do. Will Nana come up with a way to get Dolphin home to his colder ocean, his friends, and most importantly, to Nema? Lost! A Caribbean Sea Adventure is an enjoyable read that is sure to captivate young readers. The author has chosen an interesting topic to write about, and one that many people may not be aware of - the work of environmentalists to help Arctic seals (and other sea animals). The story is loosely based on a real event from 2001 when a hooded seal who had wandered far from his home was returned to his native shores. Like that story, Lost! has a happy ending that will satisfy children. The illustrations are fantastic and use every color of the rainbow, with several pictures reminiscent of Peter Max artwork from the 60s. Finally, at the back of the book is a fun maze to "Help Dolphin Get Home To The Arctic," as well as a fact page on Arctic seals. Quill says: Meet Dolphin the Arctic seal, fall in love with the adorable sea mammal, enjoy a fun adventure while also learning some fascinating facts about seals in Lost! A Caribbean Sea Adventure. FQ: You mention the awkwardness you felt in trying to start a conversation with Bob, even though you’ve had your own taste of poverty. Do you think xenophobia (“fear and hatred of strangers or foreigners or of anything that is strange or foreign”—Merriam-Webster) may have played a part in your awkwardness? If not, what did? NORDSTROM: The awkwardness I felt in starting a conversation with Bob had less to do with “fear of strangers” and more to do with what I refer to as a case of “terminal self-consciousness” that’s plagued me all my life. (I’m the dorky kid with the new, blue metallic cat’s eye glasses in Mrs. Niven’s fifth grade class who, in the late 50’s, sits frozen at her desk and starts crying when called upon in class to answer a question out loud, dreading that everyone will laugh at her if she gives the wrong answer.) In most every social situation when I’m with people I don’t know or don’t know well, I’m not the one that starts the conversation. And I’m not good at keeping a conversation going. I don’t think well on my feet; I’m more of a listener. (Maybe that’s why I prefer writing!) But, that said, I will say I was surprised when I came up with the words, “I’m sorry for your trouble” when I first started visiting with Bob. FQ: Do you feel that xenophobia plays a major role in creating a great divide between society and the homeless? NORDSTROM: I don’t think that fear of strangers – in this case people who are homeless – is what contributes to the division between the “haves” and “have nots.” In my experience it’s more about society making assumptions that someone who is found “wanting” lacks character, or they abuse alcohol or other substances, or it’s his or her own fault for being where they are. It has been said that we have a tendency to blame others so that we will look good. The lack of compassion and empathy are a few of the reasons why society asks: “Why don’t they just pull themselves up by their bootstraps?” Well, the answer is that it’s hard when you don’t have a pair of boots. It’s hard when life deals you a hand that negatively impacts your mental or physical health, or causes you to lose your job and you’re in your late 50’s and no one will hire you because you lack the skills to survive in today’s marketplace, or when a serious illness or accident leaves you bankrupt. Maybe if we were able to reframe our approach to life as living “out of abundance,” as one of the pastors at “Common Cathedral” (an outdoor ministry for people and friends of those who are unhoused) noted, we’d realize there’s enough to go around, there’s actually enough for everyone. FQ: During your first visits with Bob, he makes rather interesting comments: “I’m afraid of people like you. You’re here one day and then gone the next.” He repeats this line of thinking much later in your relationship, which actually was a symptom of his dysfunctional background. At what point did you realize that his comments reflected his background? Explain. NORDSTROM: I recognized his distrust of people (and the world) early on since my own upbringing was within a very dysfunctional family system. There are different degrees of neglect and abuse, and my experience wasn’t as extreme as Bob’s was, but I could still connect at some level with his experience. FQ: Do you feel there is hope for people who have had horrific dysfunctional backgrounds to someday amalgamate with society? Explain. One successful resource, the former Boston Committee to End Elder Homelessness, which is now a non-profit organization named “Hearth,” has “ending elder homelessness” as its mission; it targets and provides outreach to frail elders who are homeless or at risk of becoming homeless and has provided secure, supportive housing for thousands of seniors in the Boston area. Bob Wright was housed in Hearth’s assisted living facility where he and many others seniors like him received supportive health and social services in their beautiful facility in Roxbury. As another example, health care practitioners will tell you that “Housing First” initiatives have shown that an individual, who is homeless and is living with an addiction or who has a mental health issue, has a better chance at being treated successfully if he or she first has a consistent place to live, safe from the challenges of living on the street. And programs such as Ecclesia Ministries, which was founded over 20 years ago in Boston and now has affiliates throughout the country, provides a supportive community with weekly activities for people who are homeless, including “Boston Warm,” “Common Art,” AA groups and a Sunday afternoon out-door worship service on Boston Common 52 weeks a year where some amazing life-changing stories are shared. It’s my belief that we’re supposed to live “in relationship” to other people – to live as “neighbors,” using our hands to share our “time, talent and treasure.” I’m still working on being better at doing that. One place to start is by “tuning in” to our neighbor’s needs. FQ: You mention that in your decision to build a relationship with Bob, for you “it was more important to be consistent, to show up one day at a time.” Explain. NORDSTROM: My decision had to do with the importance of, and need to build trust in our developing friendship. In Bob’s experience, “people like you” are those that couldn’t really be trusted – all good intentions notwithstanding, they’d show up for a few days and help out some, but that would be the end of it. He’d never see them again. He learned that early in his life as he and his brother were neglected and abandoned by their parents as children, living in and out of foster homes. FQ: Were you surprised when Bob provided an answer to those who don’t know how to help the homeless by giving food, gift cards, make a sandwich, or bring leftovers from dinner, warm socks and underwear during the winter? If so, why? NORDSTROM: Yes, Bob’s answer did surprise me. He knew that people were hesitant to give money to someone on the street because they thought (assumed) that the person would only spend it on drugs or booze. His practical solution provided a way for people to help support another’s basic material needs. So many people I talk to about giving money to those who are homeless say they would like to but don’t because, as Bob explained, they don’t want it to go to drugs and alcohol. But they are always grateful to hear about his suggestions for giving gift cards, making sandwiches, etc., and feel empowered to do something. FQ: On a scale from one to ten—one being the lowest and ten the highest—how far and wide would you say his answer targets the needs of the homeless today? NORDSTROM: Insofar as this “material giving” targets one of “the needs of the homeless today” – which is to be seen or acknowledged as people (not ignored) – it’s a 10. So many times Bob would say that he didn’t care if you gave him anything; all he asked for was to be recognized as a person, like any other person. “Just say hello.” His sign, “SMILE: It’s the Law,” was his clever way of engaging people, to see him and acknowledge him with a smile instead of just walking by and ignoring him. He often talked sadly about how homeless people were invisible to society. FQ: Bob mentions during one of your visits that he can’t vote because he’s homeless. Is this still an issue today? If so, how do you feel the government should address voting with the homeless? FQ: Bob inspired you to create songs. Do you find that troubling issues of today, such as poverty, still inspire you to create music? If so, have you found ways to share that with the rest of the world in the hope of inspiring others? NORDSTROM: Yes, troubling and challenging issues have always inspired my songs. In fact, through the writing of these songs, I’m able to interpret and “give voice” to a situation or issue that needs attention. In addition to illustrating an issue, such as the need for us to be heroes for our children in the song, “Sand Castles,” folk music in the traditional sense enables us to tell our stories, documenting and sharing the history and culture of “the people” that one wouldn’t otherwise find in a textbook. The actual singing of this history – the music – has the added advantage of enhancing the message to expand its meaning, and can inspire others to act. One of my songs, “Henry Berg,” recounts my father’s true World War II story of how he and his two cousins met in the Mariana Islands in August of 1945 (they were all in the armed forces). His cousin, Henry, had just gotten back from the sortie that dropped the first A-bomb on Japan. For me, the war became more of a reality after hearing my father recount the terror that Henry felt when he got back to base after experiencing this horror, and knowing my father was there hearing the first-hand account. The final lines are: “On the 6th day of August, the year ’45, just one bomb was dropped, not one soul stayed alive. The mushroom cloud loomed overhead in the sky, as shockwaves and fire consumed every cry! Never this way again should one life have to die!” Another song I wrote told the story of Mafeja, a young campesino youth in El Salvador, who was killed as the result of gang violence in that country, and how the community responded. I am a volunteer with the Salvadoran Association for Rural Health, and have participated in five work-study trips to El Salvador to learn about the people there and to experience living “in relationship” with the campesinos, the families in that country. FQ: In retrospect, what things would you have done differently with Bob? To learn more about Park Street Angels: A Chronicle of Hope please read the review. The snow is falling outside the Oval Office windows in the year 2041, as the latest national crisis breaks out. The person sitting behind the Resolute Desk, however, goes by the name, Madame President Constance Higgins. This is a woman with a great deal of experience and not a whole lot of patience for people who try to disagree or go over and around the law. She has just had the mantle of President passed to her, and with it came an immense amount of garbage that her predecessor and their administration left behind. Now, here she is, sworn in as the fiftieth president, and about to head to her first cabinet meeting hoping for answers. It is at this meeting that Madame President brings up many topics and speaks the absolute truth about all of them. Everything from the overpopulation of the U.S. because the southern borders were not secured by previous administrations to the higher number of people on Welfare, is addressed. From Social Security turning almost invisible as well as how the strength of the U.S. military has been cut in the last ten years in order to save money, makes everything even worse. It seems that the U.S. has received an ultimatum from the Chinese government: The Secretary General of the Communist Party of China, Zhang Li, insists that the U.S. pay their debts in gold rather than dollars, if what’s currently overdue in interest payments is not taken care of within ninety days. Secretary of Defense John Mahood feels that money is not what this is actually about. He believes there is something far worse going on. As the only one offering a helpful suggestion, he tells the President that since Zhang Li has given them ninety days to comply, they should not do so. If at that time the Chinese do not go forward with their threats about gold versus paper, then they have revealed something far worse is actually up their sleeves. Mahood is right in his assumption. What is being planned is a scheme of monumental proportions called Operation Dragon, where the U.S. will have to face another battle. Back in the ‘real world,’ Mike Dalton is the perfect male specimen. Not only is this guy a heartthrob for all the young ladies who call the Columbia University, NY, campus home, but he also just won the NCAA championship with his winning basket. Sean, Mike’s younger brother, also loves his sibling but is envious of the attention he receives. Worse, he hates Mike for his relationship with Kyla MacGregor. A girl from Scotland, she is pre-med, highly intelligent, and equally as stunning as Mike. When a family fight ensues that leaves the “golden” son to graduate top of his class and head into the U.S. military, the feeling of guilt at what happened with his brother goes with him. So what does a patriot of the U.S. who has had an argument with his brother have to do with the Chinese military moving into the U.S.? And who is NSA Agent Jim Hawkins, and what does he uncover about the Chinese government under a table through a trap door inside a restaurant in Chinatown? These answers cannot be given here, but you will simply note that this is one fast-paced, powerful story with questions galore. The author has done a wonderful job keeping the thrills happening while telling the tale of brothers who are on an emotional path that may make going to war look like a walk in the park. Quill says: Readers who love everything from history to war to family sagas that hit you directly in the heart, will find that this book answers each and every call. Tamara the turtle, a red-eared slider, was just a baby when she found herself in the pet store. Placed in a small tank with other red-sliders, she was hopeful that somebody would buy her and take her home. Soon a young boy tapped on the glass and thought Tamara would make a good pet. Tamara’s new home at the boy’s house was soon set up and life seemed good. She had a tank with clean water to swim in and a little dock for her to rest upon. But as time passed, the boy grew bored with the turtle. The water became dirty, feedings were forgotten, and Tamara’s shell grew soft – not a good sign! Realizing that her son had lost interest in his pet turtle, the boy’s mother released Tamara into a creek that run behind their house. Poor Tamara! She didn’t belong in that creek! Would she survive being released into the wild, a place she definitely did not belong? Would she ever find a good, loving home? Author Regan Macaulay has written a heartfelt story about the plight of unwanted pets – particularly turtles. Most of us probably know of a family that bought a pet on a whim – a dog, a bird, a rabbit – that eventually fell out of favor with the family. In the case of small animals such as fish and turtles, people think they’re doing the animals a favor by releasing them into the wild. The author, however, shows what a bad idea that is when readers see what happens to Tamara in that creek. 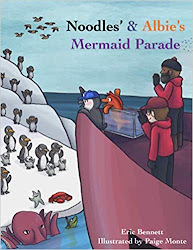 The story does have a happy ending, and teaches young readers an important lesson along the way about the importance of caring for pets and the very necessary work that various rescue organizations do each and every day. At the back of the book is a two-page spread with a list of various organizations where further information on red-sliders can be found, as well as numerous turtle rescues that help find forever homes for these sweet little reptiles. Quill says: A good tale to engage young readers and teach them the importance of caring for pets, as well as the necessary work rescue groups do for at-risk animals. The year is 1572, and the place is just outside Beijing, China. Hu Wan, an inquisitive nine-year-old, lives with his grandfather. The two spend their time tending to their vegetable garden and make their living by selling gourds that they grow and then carve into ladles and bowls. When a heavy rain comes, Hu Wen proves his mettle by helping his grandfather raise all the gourds above the water that is soaking the ground. Hu Wan’s grandfather soon falls ill from the dampness and it is up to the boy to tend to the garden. Fortunately, grandfather recovers and all seems well. Every year, one special gourd is grown inside a uniquely shaped clay pot that Grandfather makes and turns into a cricket cage. This year, he has given the honor of making the clay pot, and overseeing the growth of the special gourd to Hu Wan. The boy is honored and takes the project seriously. When it is time for the gourd to be removed from the clay pot and carved into something special, Hu Wan decides the gourd looks like a sleeping dragon. Hu Wan makes a lovely cricket cage out of the gourd and when he catches a cricket and puts it into the new gourd cage, both he and his grandfather enjoy the cricket’s songs all night. The next day, Hu Wan discovers that the emperor has died and the leader’s nine-year-old son is now emperor. He learns that gifts are being requested in the hopes that the presents may cheer up the new emperor. After some thought, Hu Wan decides to offer his sleeping dragon cricket cage. But when a guard outside the Forbidden City mocks the handmade gift, Hu Wan is saddened at the thought that the emperor may not accept his gift. Hu Wan and the Sleeping Dragon takes readers to an interesting point in Chinese history and shows what life was like for the peasants living outside the gates of the Forbidden City. As well as learning a little history, youngsters will see the sacrifice Hu Wan makes in the hopes of cheering up another boy - an important lesson for all. The author was inspired to write the story after seeing a museum exhibit of ancient cricket cages. The art of creating these fascinating cages is explored through Hu Wan’s learning how to make one. And their use, the enjoyment of cricket songs in the house, will ignite children’s imaginations as to how they could perhaps create their own cricket cage. Quill says: A very interesting story that gives young readers an inside look at what life was like in China so very long ago. FQ: The photographs that you include in your book are absolutely stunning! Can you tell readers a bit about the tea plantation shown? HAWKINS: Charleston Tea Plantation on Wadmalaw Island is right off the mainland in Charleston, South Carolina. 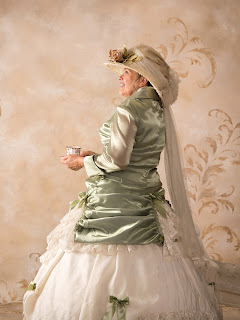 I enjoyed a wonderful tea there and had the privilege of dressing in period costume, answering questions, interacting with visitors and signing books. The most amazing thing that morning was the misty island air--as we pulled up you could smell tea permeating the air. For a tea lover this was an AHHH—moment! FQ: Along those same lines, is this where you first got the desire to create recipes and put together gatherings/events that you spotlight in the book? Have these recipes been passed down through your family, or have you created them over time? HAWKINS: No, this was a wonderful place to be inspired, but I was already a full-blown tea lover when I first visited. At the time, I had two tea books: Catering to Children with Recipes for Memorable Tea Parties & The Unspoken Language of Fans & Flowers with Recipes. These were already written when I did my first book signing at the beautiful plantation. They invited us for the grand opening after Bigelow Tea became a partner with Bill Hall. The recipes are from my family & friends; and others I created and tweaked over time. 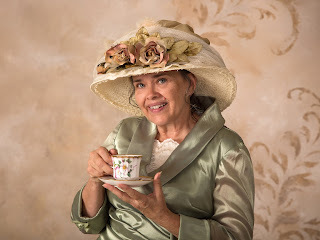 FQ: Considering the various places you have visited, can you pick a favorite locale of yours, or even a locale that perhaps inspired one of your special tea parties? HAWKINS: Whether it’s by the ocean, down by a river, on a mountainside, in a wildflower field or in our own flower garden, I’d say each and every one inspire me differently. They each allow me to see nature and beauty from all four seasons and in many delightful, spirited tea times. A Victorian Tea with old furniture in our outside garden was a most memorable event. FQ: In a world that seems to go very fast, would you offer some pointers and/your opinions on the health properties of tea, such as, how much better it is for the heart and how it can help people to slow down a bit and enjoy life? HAWKINS: Tea is such a delightful drink--hot, cold, iced and mixed with other ingredients, such as fruits and berries. You will find many recipes, mixes and ideas in Southern Seasons: 12 Months of Tea-licious Recipes & Ideas. Sodas and coffee people tend to grab while on the run and down them quickly. Tea seems to change our mood and we relax more, sipping more slowly, relaxing and taking life at a more leisurely pace. Health benefits? Oh, yes! We’ve included lots of information in the book about the health benefits of tea. FQ: Was/Is there a chef, cook, baker, etc., whom you admire? HAWKINS: No particular one, yet I have a deep appreciation for any and all tea house owners who take the time to create real presentations of each table they set – be it simple or ornately elegant. The atmosphere in each can vary yet bring people together for relaxing, sipping and nibbling of the many awesome morsels, beautifully arranged. 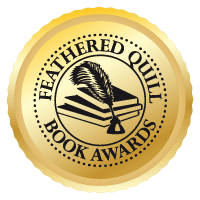 FQ: Your books have won a variety of national and international awards. If you could pick one that was your favorite book created, which one would that be and why? FQ: What is your next goal in regards to your books? Are you working on something right now that you can share with readers and fans? HAWKINS: My primary goal for all my books is to touch more hearts. This has been my goal from the day they first came out. In regards to my current project, I’m always working on something but I do not share until it’s off to the printer. Sorry! Top secret! FQ: Can you tell us a bit about the various classes you teach for the tea industry? Do you have a favorite question from a reader, or a fan moment that you can share? HAWKINS: There are two main ones: tea history and tea etiquette. But, we do design special speaking events to fit different venues. One of my fans from South Carolina sent a large packet of pictures of her very first tea. After reading my book, she wanted to say, “I did it too!” In the bottom of the package was postage to return her lovely pictures. No one had ever done this! Delightful indeed! 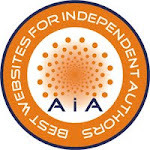 FQ: You have a lovely website at (www.lindajhawkins.com), with great gifts as well as a blog and information on all your programs; can you tell other authors out there the positives that social media have brought into your life and writing career? Are there any negatives when it comes to social media that you’ve found? HAWKINS: I must confess social media is not something I spend much time on. I write, work my blog and allow younger people I work with to build website, design and maintain my social media. I still write everything longhand--type, then edit by computer. (Technical stuff and modern equipment messes with my thoughts and creativity.) Therefore, my first thoughts must flow from mind, hand to paper—old fashioned, but it works for me! The one negative I see with social media--it’s a time consumer. I am a high energy person, and I must be up and making visible progress. FQ: A fun question...If you could have tea with one figure – whether it be a historical figure, an author, etc. – who would it be, and why? And, of course, what tea would you choose to share with said person? To learn more about Southern Seasons: 12 Months of Tea-licious Recipes & Ideas please read the review. To classify this book as a cookbook is just not enough. Yes, it certainly fits into said category by offering recipes that you will most definitely want to create in your own kitchen, but author Linda J. Hawkins has gone far beyond that. For anyone with one of those awesome grandmothers who made those cookies you were salivating over all week long, knowing you were headed to the grandparents’ house for Sunday dinner to enjoy them while spending time with the family you loved (Miss you, Grandma! ), this one is most definitely for you. Aptly fitting the description the author gives in her introduction, this book is full of “Tea-riffic” information! First, we begin with the photographs. This book offers up some of the most stunning pictures imaginable. Cutting the book into seasons, then by month within each season, pictures appear spotlighting everything from a landscape glistening with a blanket of snow to a spring garden filled with the newest flowers just beginning to bloom – waking up in order to give the world a fresh, new look under the much warmer sunshine. Then, you have the words. This is not only a group of recipes with directions and ingredients, but also pages of quotes from poets, inspirational words from the Bible, and kind, fun, peaceful short stories shared with readers about the tea parties that went from events to yearly family traditions in the Hawkins’ household. 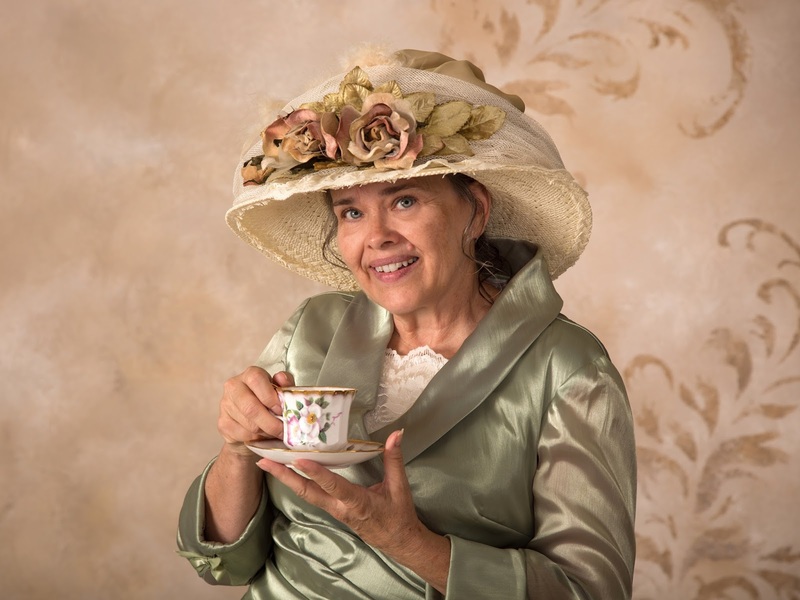 The author lets readers in on facts about the enjoyment of tea served with glorious foods, and even shares a list of various signature tea parties that can be held to include friends, families, children, and more. The list talks about everything from a “Little Ones First Tea” event to a “Seashore Tea” that can be held while looking out upon the awesome beauty of Mother Nature’s waves. Not only are the teas spoken about delicious, but the appetizers – from candy to dips – and the main courses that range from Roasted Maple Glazed Tenderloin to Almond Crusted Chicken with Strawberry Balsamic Sauce, are also provided with easy to follow recipes to make sure the meal you feast upon at your “tea party” is truly unforgettable. Some are even extremely unique, like Delightful Divinity which is served at your “Friendship Tea” to celebrate those close pals who play a large, caring part in your life. Add into all this an Etiquette page, and a slew of extra gifts from the author that show you some of the amazing places she has traveled, and you most definitely have a stellar, high-level guide that shows you how to live an enjoyable life. Quill says: This is truly a “must-have” for the household, enabling everyone to create tea-riffic family traditions.